Living the Dream, NetBet Customers Enjoy Euro 2016 in Style With a "Once in A Lifetime Experience"
LONDON, UNITED KINGDOM--(Marketwired - July 12, 2016) - From the Stade de France in Paris to the Velodrome in Marseille, 16 lucky NetBet customers, along with their guests, attended key games at EURO 2016, and some even travelled by private jet to get there! The NetBet packages included VIP tickets to the games, hospitality, and plenty of merchandise to enhance the fan experience - and what an experience it was. Wassupman summed it up when he said: "The trip was a once in a lifetime experience, thank you for this opportunity! To go to France in a private jet was unbelievable." Yoyo4, who attended the opening game, was equally happy: "Thanks NetBet for this wonderful experience. The opening match was a really big show and we loved being there inside the stadium, all thanks to you!" Maddy1035, a German winner who travelled to the game by private jet, said: "This amazing experience will remain with me for the rest of my life! I only opened an account 5 days before winning the draw. I can't believe it, so incredible! Thanks NetBet." From France: YOYO4, bask3344, mixtoss, malek947 and Rossonero. From Romania: DINAMO1973, violestra and proffi1999. From Germany: Wassupman, maddy1035, Miaza and Tonyshipp. From The UK: Jamaine3 and Gingliss4586. 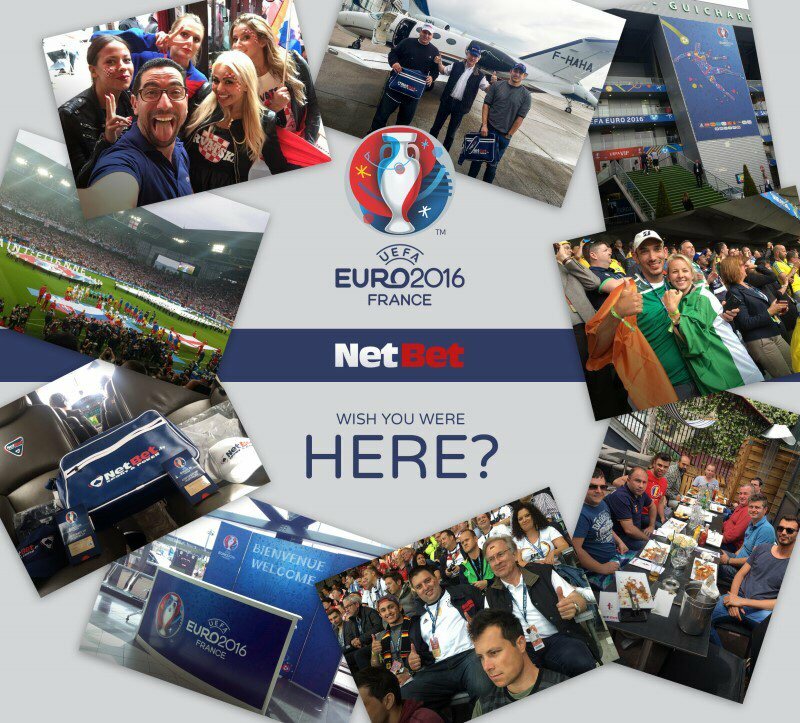 NetBet spokesman Alexandre Mangaud said: "It was fantastic to be able to reward some of our customers with incredible VIP packages to ten of the best games at EURO 2016. Like our customers we are also passionate sports fans ourselves, so it was a privilege to share this experience with them. 'Making Sport More Exciting' is our company motto and, judging by the response, we lived up to it with these loyal NetBet customers." NetBet is an established brand in regulated European markets including the UK, France, Italy, Greece, Ireland, Germany and Romania. The company offers a sportsbook, an online casino and online poker to its customers. The company is an official sponsor of West Bromwich Albion for the 2015/16 season and it also sponsors St. Etienne and Ajaccio in France, as well as Steaua Bucharest in Romania.